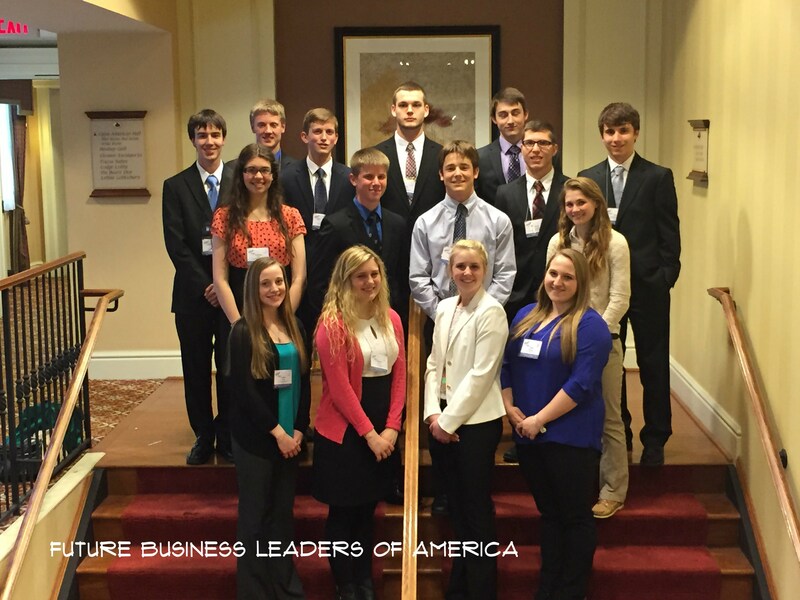 Future Business Leaders of America is club for students in grades 9-12 who are interested in a career in business, students who want to eventually own their own business or students who are just simply interested in learning more about the business world. Meetings: Sign-ups take place at the beginning of the school year. Meetings are held in Mrs. Seher's room at various times throughout the year. The major annual event is the State Leadership Conference in which qualifying members participate in numerous competitive events and attend leadership development seminars. Students earn the right to compete against their peers from across the state in over 60 different event areas that range from Accounting and Business Law to Computer Programming and Desktop Publishing. Students participate in a variety of fund-raising efforts throughout the year to fund the activities of FBLA. FBLA is endorsed by the American Management Association, the American Vocational Association, the National Association of Secondary School Principals, the National Business Education Association, the National Management Association, the Pennsylvania Department of Education, and the U.S. Department of Education.